Reading Eggs Blake E-Learning is well-known for its very engaging and effective online learning programs and just as MathSeeds does for learning math, Reading Eggs is a remarkable personalized learning experience. 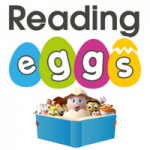 When parents and teachers want to support kids between the ages of 2-13 years as they learn to read, look no further than Reading Eggs. 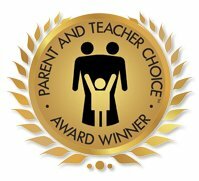 We love how the program is personalized to each child and allows them to start with the placement test to know where they begin, and progress through the programs at their own pace. When working on the letter sounds for example, we made mistakes just to see what would happen, and instead of saying it is wrong, or try again, the words would simply not move near the pictures, and kids instinctively know to place the word next to another photo. At the end, when everything was right, there was a second practice to reinforce and then the tooting of a horn to signal success.